Which step is that then? Well it’s the next step in my writing of course, but more of that shortly. As we in the UK all take that common leap of faith from March to April we hope to experience a marked change in season, from Winter to Spring. I for one, will not be holding my breath … . 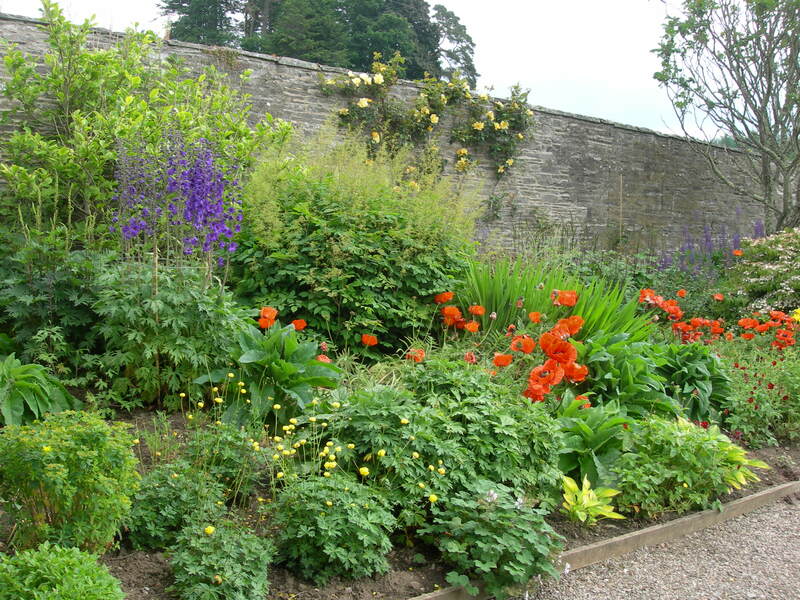 Small section of the Walled Garden at Blair Castle. What is the graphic all about? A good question and one that deserves an answer. In some ways it represents that leap of faith as mentioned above regarding the weather, but it also represents a similar leap … regarding my writing aspirations. How so? I hear you ask, so I’ll enlighten you. The walled garden only partly pictured above, has a lot going on within and by virtue of the ‘walled’ aspect it is reasonably under control. As the garden is cultivated and nurtured there is a fervent hope to see great things from it in time. In my own case, since October 2012 I’ve been working a three-day week. Mainly thanks to Tony Brown, my Area Manager and Kev Bailey, my Store Manager at Ryman, my transition from management to staff and reduced hours has been easy. I have much more time available for writing, reading and increasing my art portfolio. The key word of course is ‘available’ … and now, you dear reader wonder why. Gaining all the extra time in the world is no good unless it is used for the intended purpose. Like many others I’m guilty of allowing other things to encroach on my time; DIY projects, TV programmes, clearing out the attic, etc. Between October and December last year I relaxed and enjoyed the extra free time. January 2013 arrived and I made a concerted effort to tackle more projects related to my newly announced job title: ‘Creative Writer and Freelance Artist’. I finished off a couple of outstanding short stories, completed the term of writing classes with the Inkerman Writers and settled in as a member of ReadWave online. More recently I’ve finished reading the incredible book, ‘Bury My Heart At Wounded Knee’ by Dee Brown. It’s a tale of the atrocities committed against the Native Americans as the white man ‘discovered’ and ‘tamed’ America. If you’d like to read my review, please click on the appropriate Good Reads panel in the right hand column. Why is April so important with all this leaping? Another good question. It sees the start of the new tax year and I will now start to maintain records of all my expenditure and income related to my writing and artwork. I will have a couple of months to decide whether or not I want to go down the route of ‘self-assessment’ with our wonderful Customs and Excise department. I’ll be back soon with news of a move for my e-published books … could they be heading for Amazon / Kindle publishing?